This is the fourth of an occasional feature on TV Banter called Internet TV Digest. 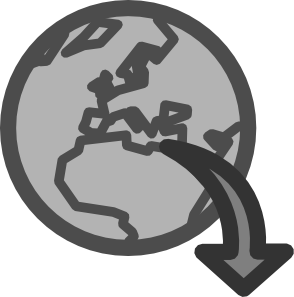 Internet TV Digest contains recent news, information and discussion about online television. The Oscar-winning Coen brothers are now streamers. On August 9th, Netflix announced that Joel and Ethan Coen are developing a Western anthology called The Ballad of Buster Scuggs. It will consist of six separate stories set in the American West and will star Tim Blake Nelson as Buster. 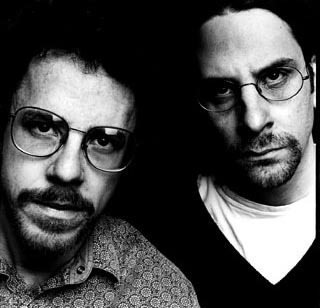 The Coen siblings are the writers, directors and executive producers of the project, which is expected to begin in 2018. The brothers join other filmmakers, such as Woody Allen, who have made a transition to television. Allen'a series, Crisis in Six Scenes, debuted on Amazon in September of 2016. It is a comedy set in turbulent times during the 1960s. Robert Redford and Jane Fonda have reunited for their first film in 38 years. They star in a romance entitled Our Souls of Night. The film premiers on Nexflix and in select theatres on September 29th. It is based on a novel by American author Kent Haruf and was adapted for the screen by writers Scott Neustadter and Michael H. Weber. In Our Souls of Night, Redford and Fonda play neighbours whose spouses have died. The last time these two Hollywood legends appeared together on screen was in 1979's Electric Horseman. Their first pairing was in the 1966 Marlon Brando thriller Chase, more than 50 years ago. Our Souls of Night marks the fourth time that the duo have been cast in the same film. On August 8th, Disney announced that it will pull all of its movies from Nexis. It intends to start its own streaming services. The company will launch an ESPN video streaming service in early 2018, which will include content from the Major League Baseball, the National Hockey League and the National Soccer League. Plans are also underway to stream the Disney brand directly to subscribers in 2019. Viewing your favourite show on Netflix Canada has just become more expensive. The giant streaming company has just increased the subscription price for its basic plan by one dollar to $8.99 a month. The increase will apply to all future subscribers. Existing subscribers will be notified by email that their fees will be increased. Netflix's standard plan, which allows the viewer to watch programming on two screens at a time, will also cost a dollar more - $10.99 monthly. The price of a premium plan, which features up to four simultaneous streams and ultra high-definition 4K content, has been upped by two dollars to $13.99 per month. In a statement, the company said, "From time to time, Netflix plans and pricing are adjusted as we add more exclusive TV shows and movies, introduce more product features and improve the overall Netflix experience, to help members to find something great to watch even faster."